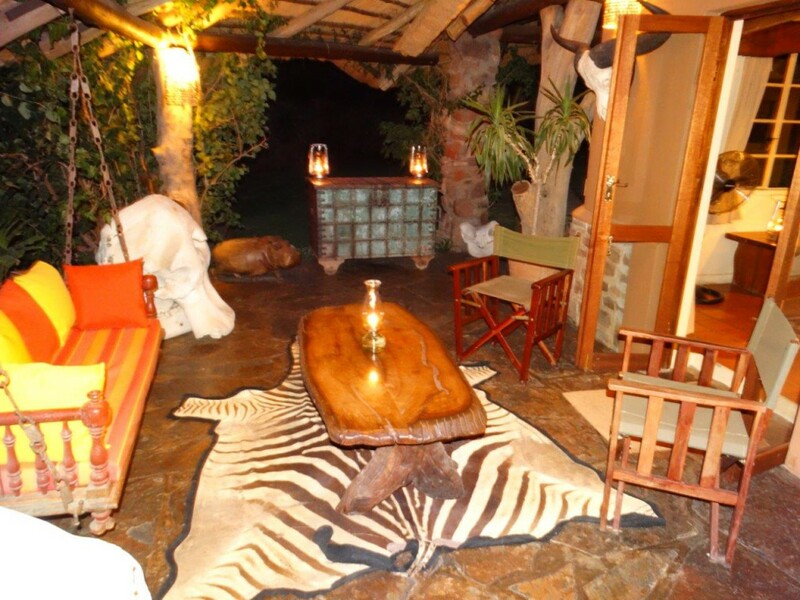 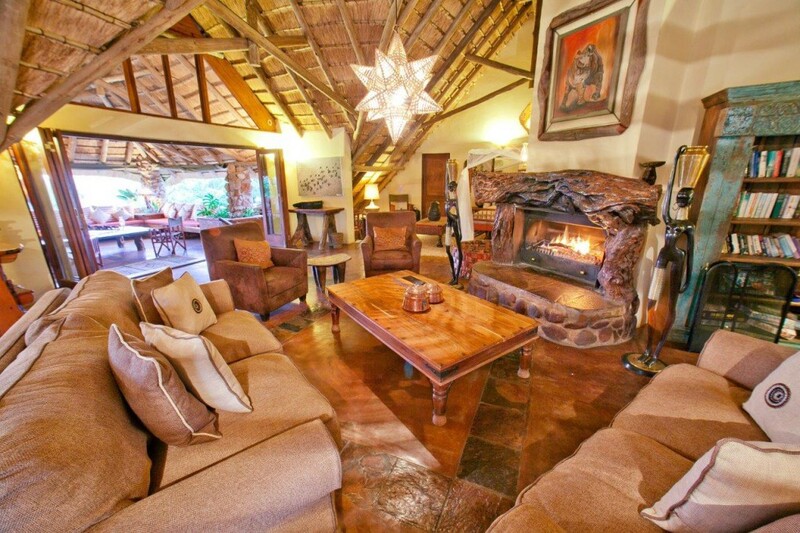 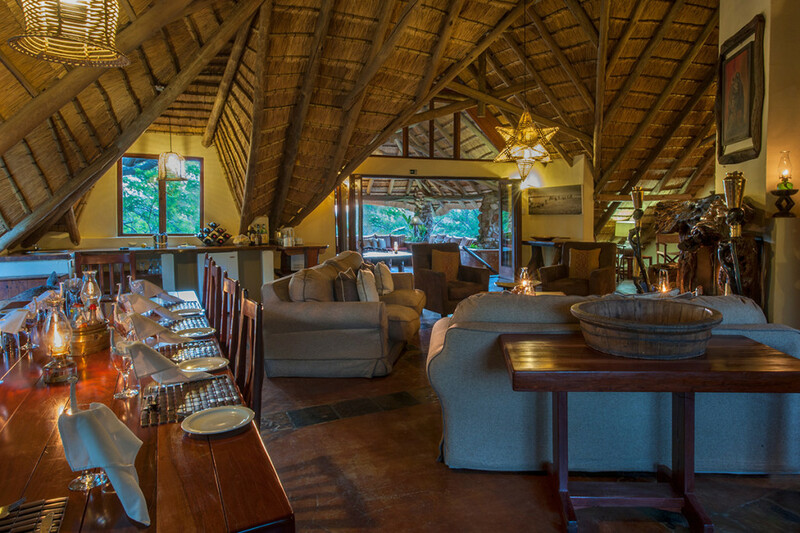 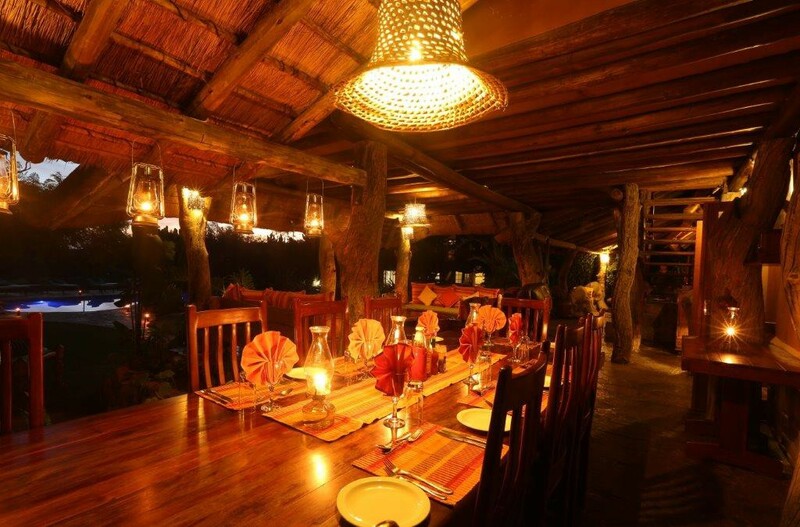 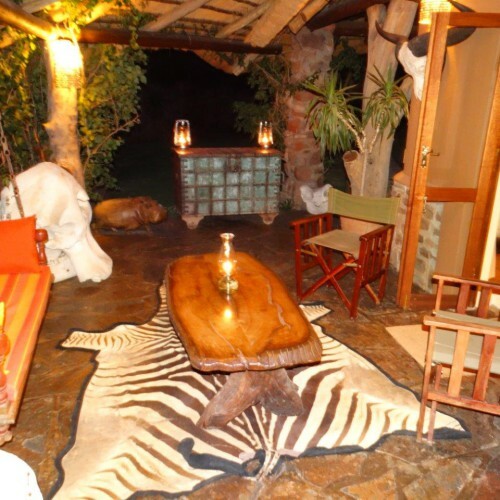 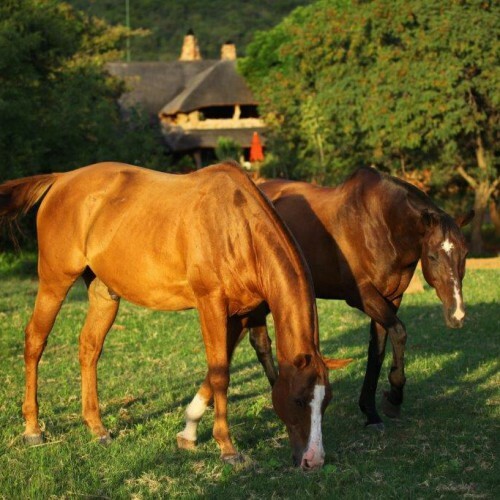 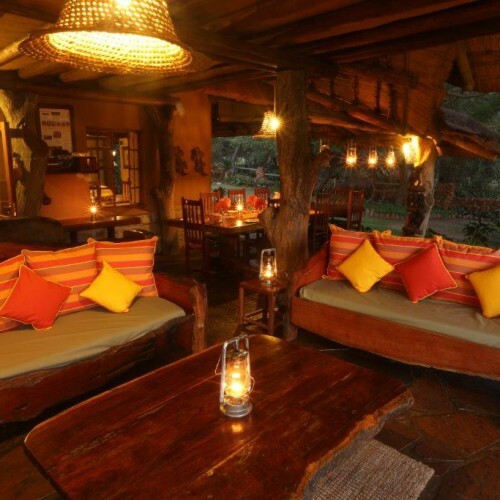 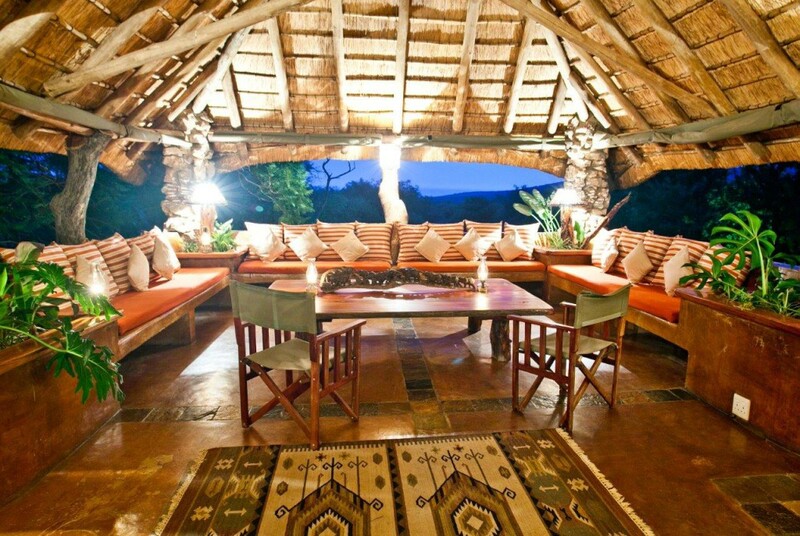 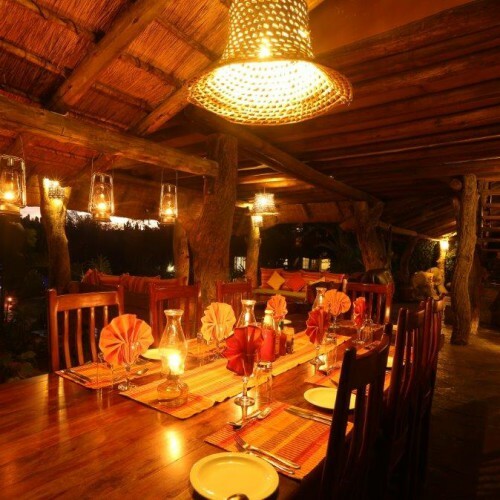 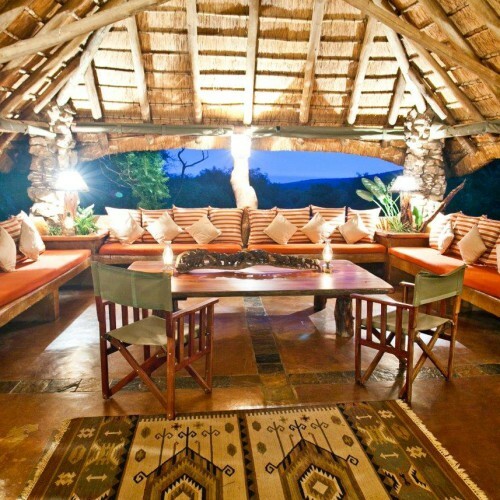 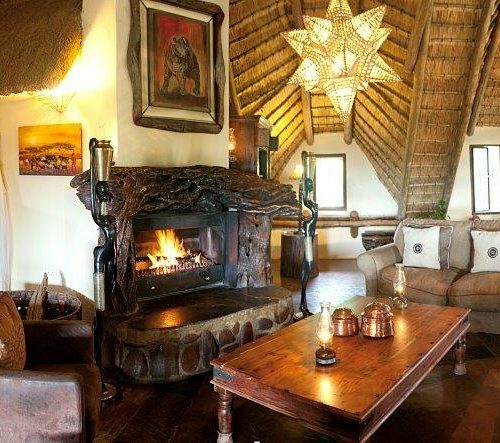 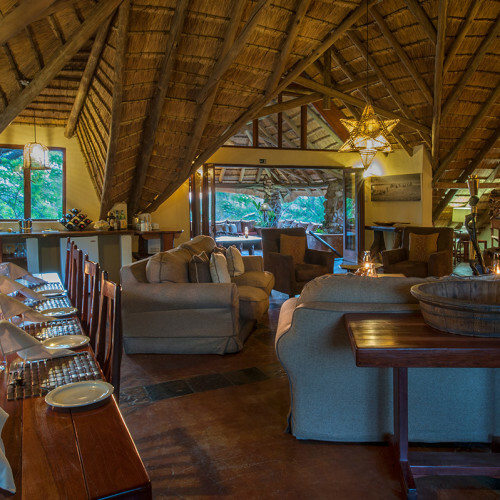 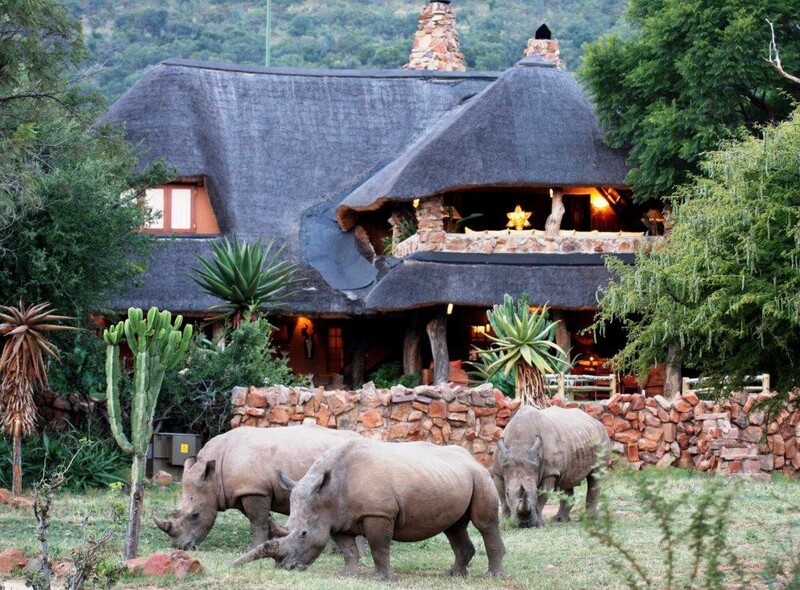 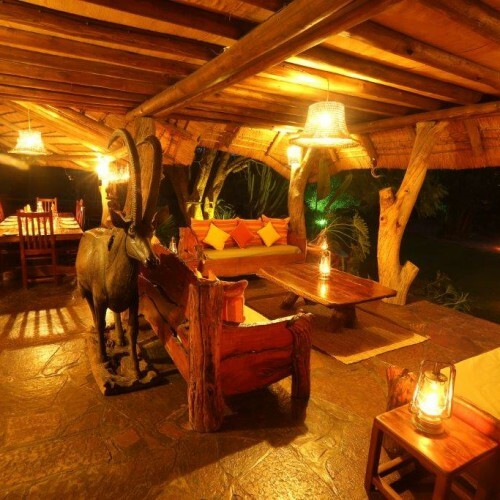 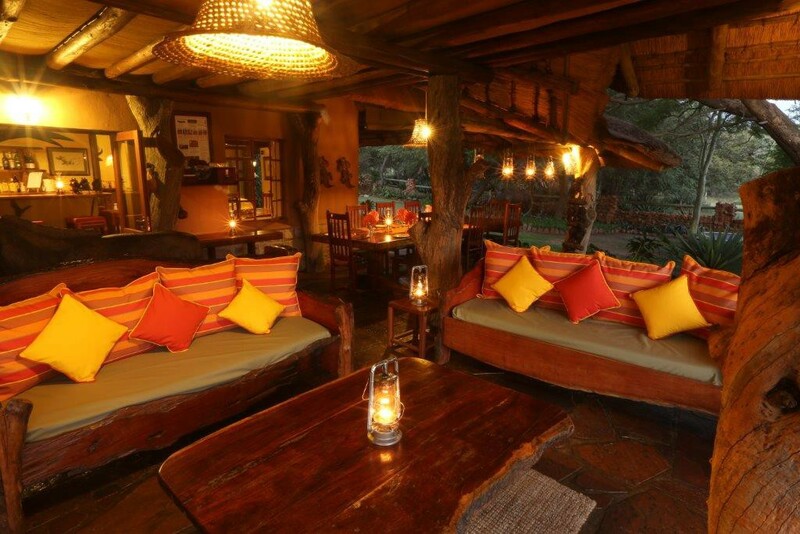 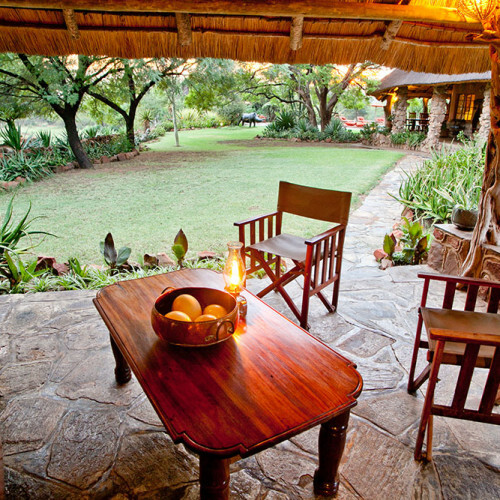 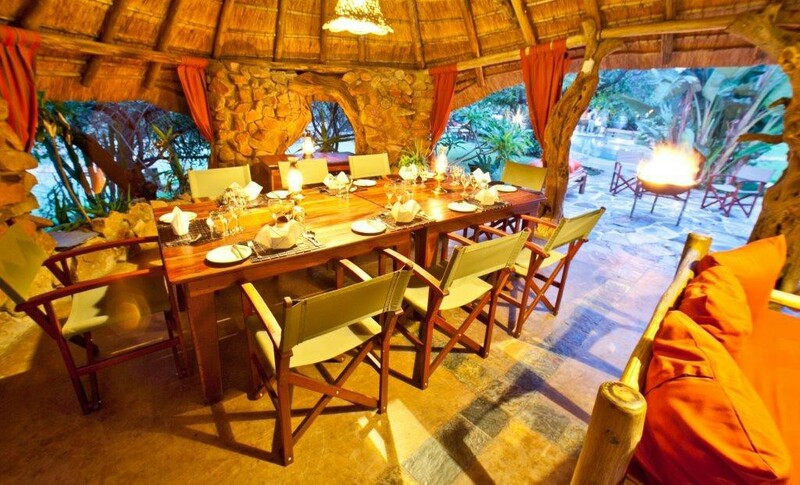 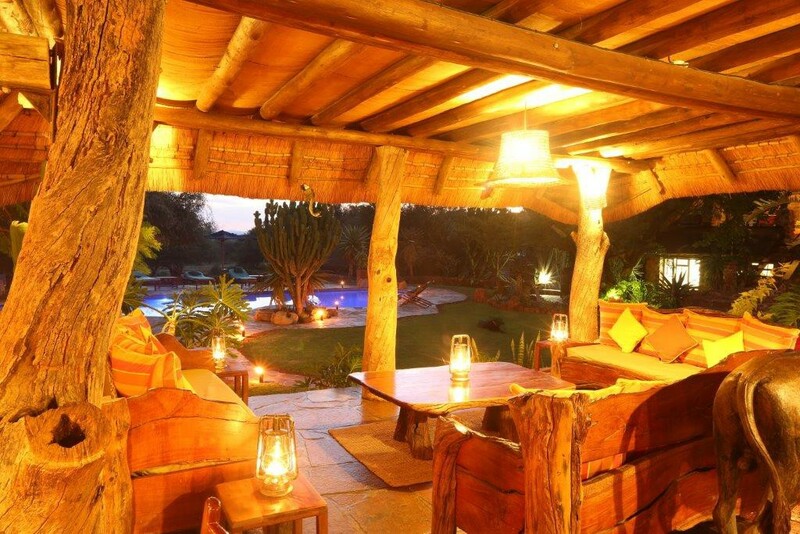 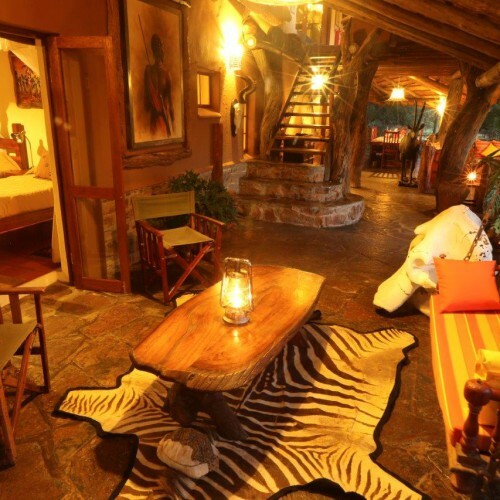 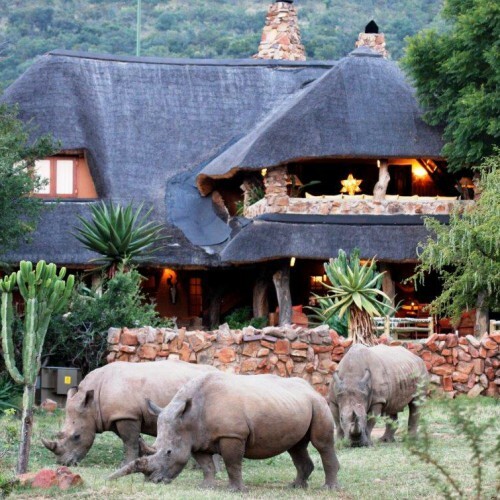 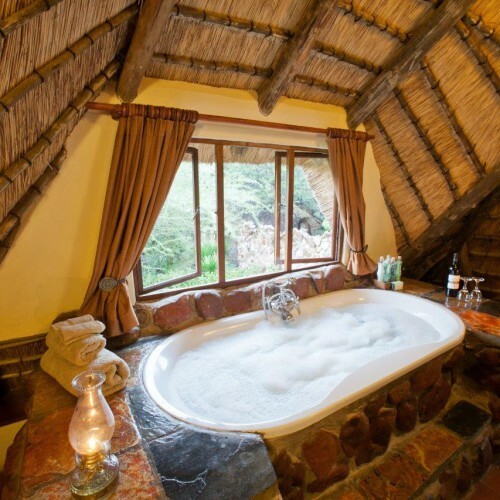 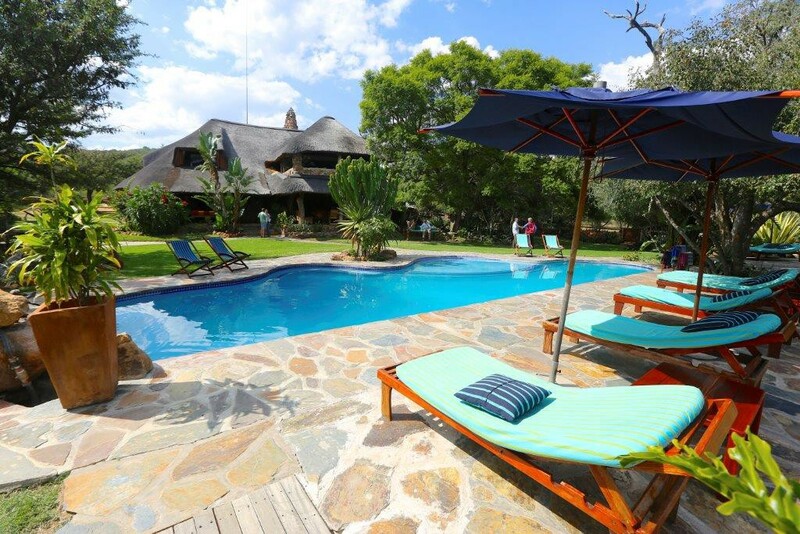 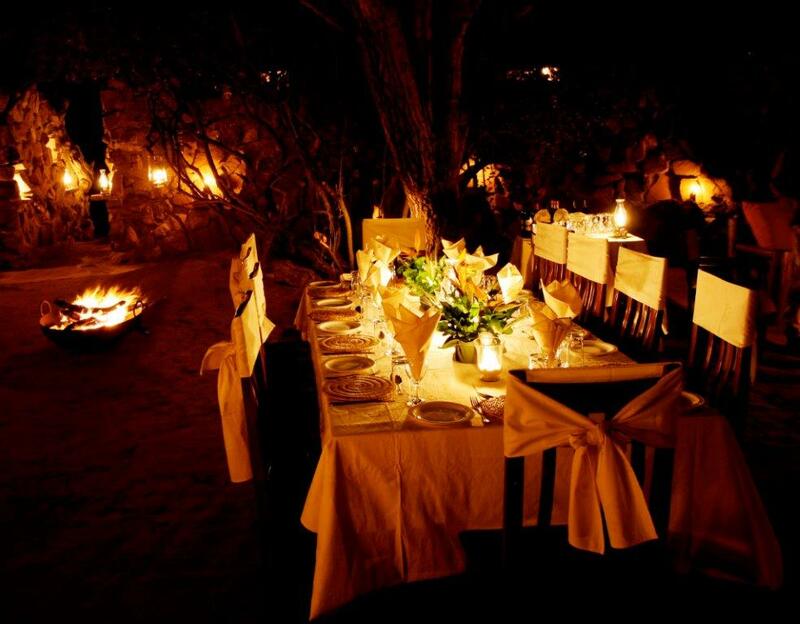 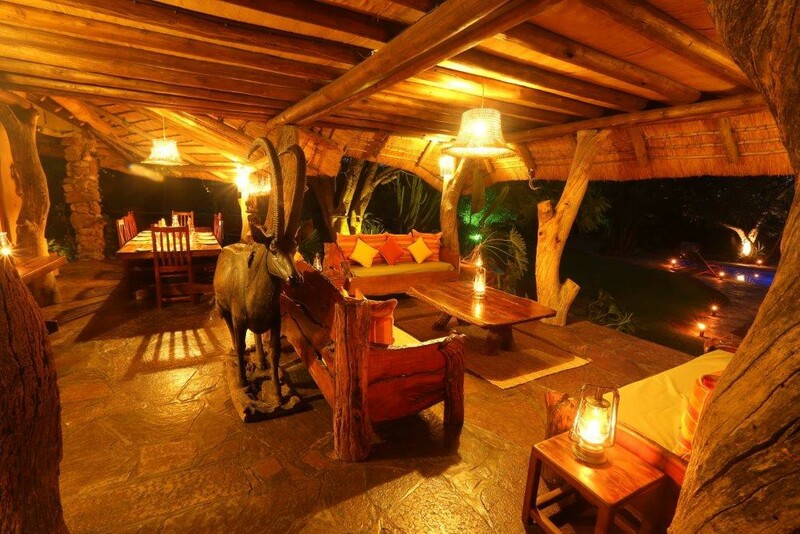 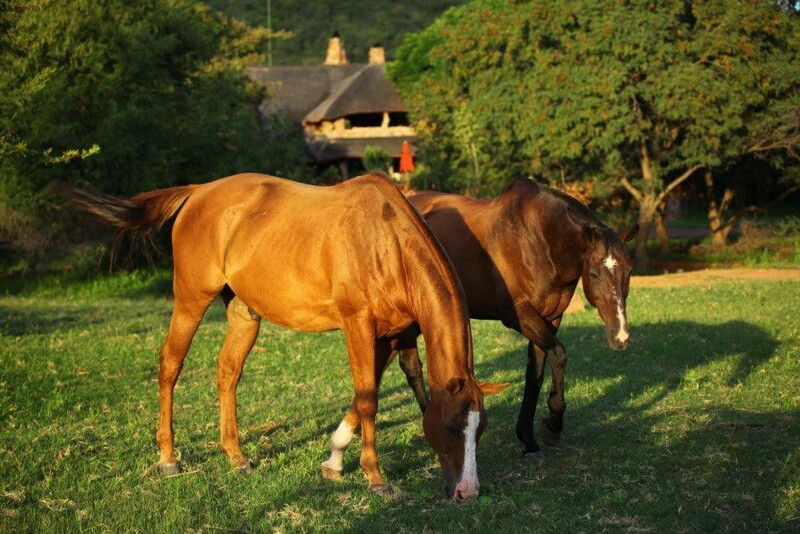 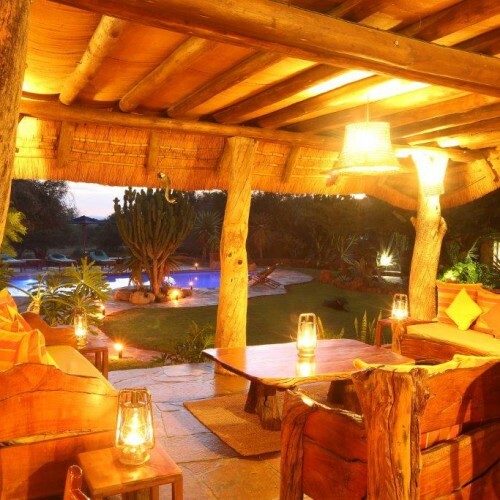 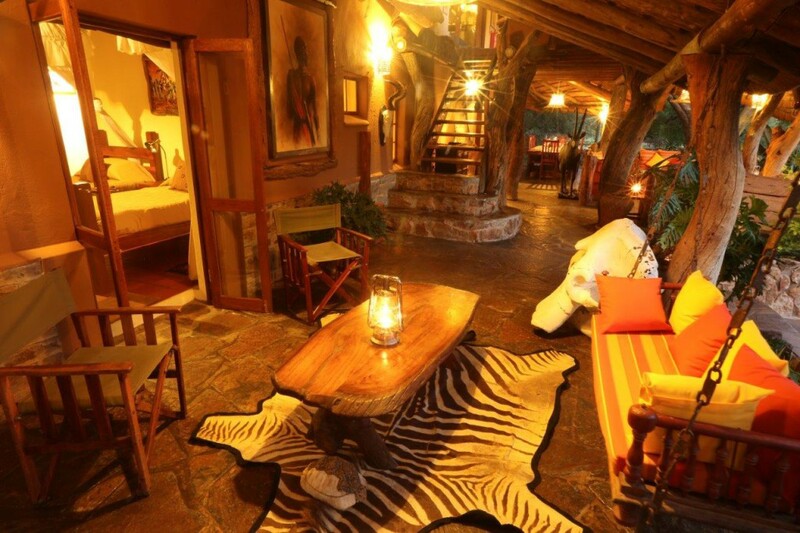 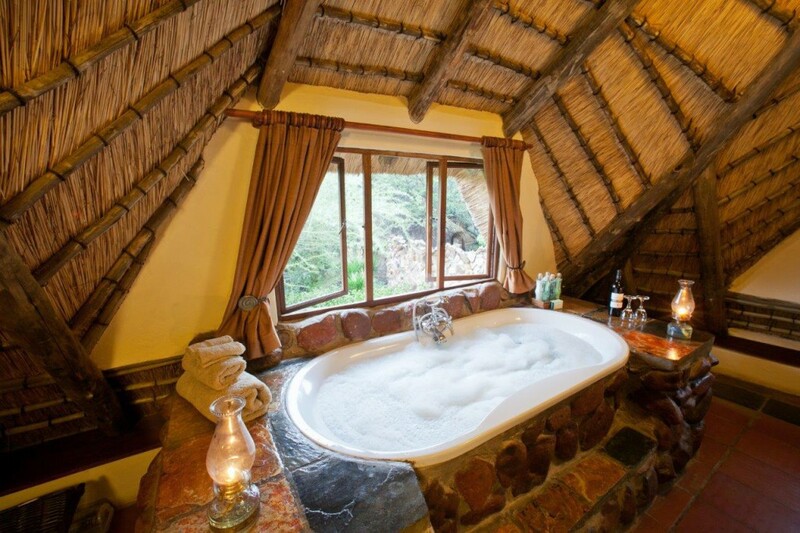 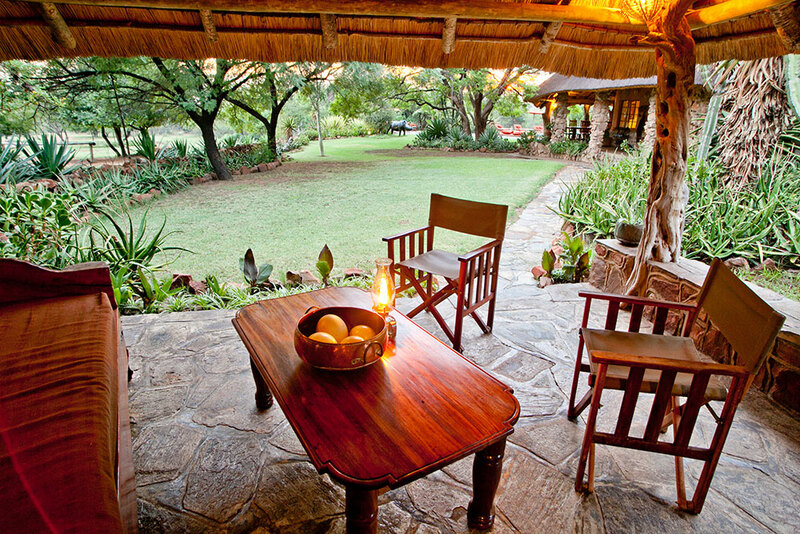 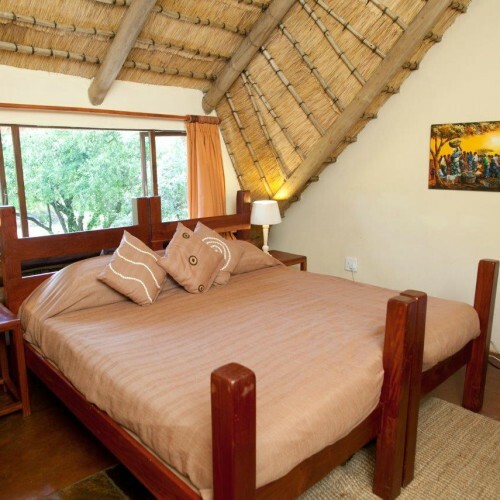 The Main Lodges’ six classic en-suite bedrooms accommodate a maximum of twelve guests. 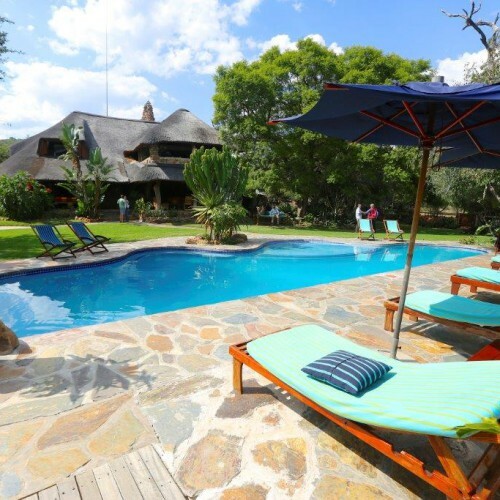 There is a 15 meter swimming pool in the garden, ideal for those needing some exercise or for purely cooling off after an active day and this is great for kids as its heated all year. 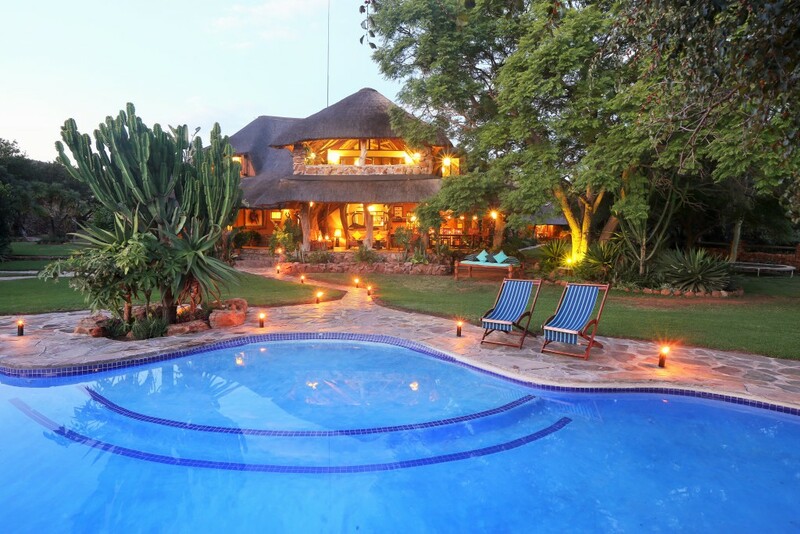 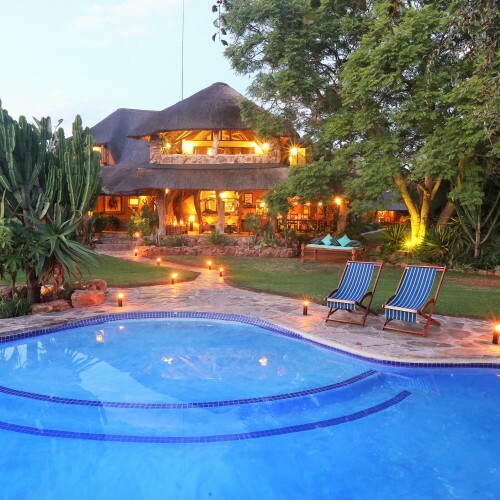 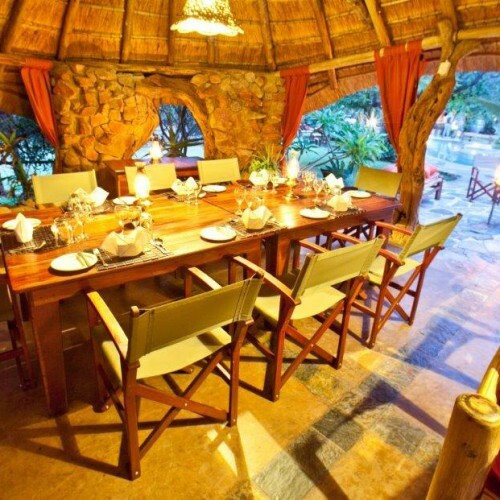 Extensive lawns with indigenous plants surround the pool and there is a wonderful thatched chill-out spot with vast sofa beds where you can relax during the heat of the day. 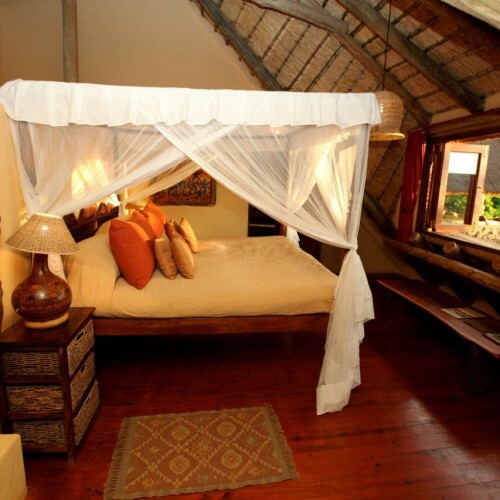 Like Ant’s Hill, Ant’s Nest features different room types from standard to deluxe, rooms can be booked individually, however, should you be looking for a very private stay, Ant’s Nest can be booked exclusively, ideal for multi-generational family bookings, friends traveling together or for specialised interest groups / special occasions.  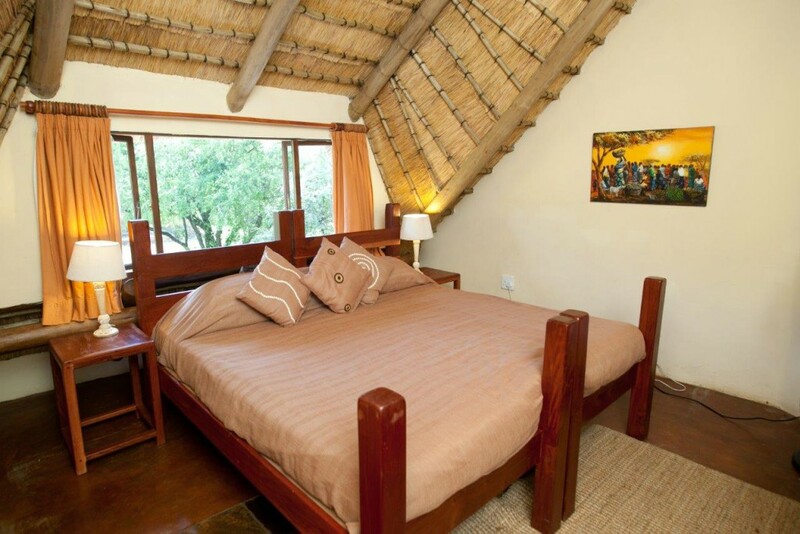 Scroll down to view our different rooms and take your pick to suit your needs and budget. 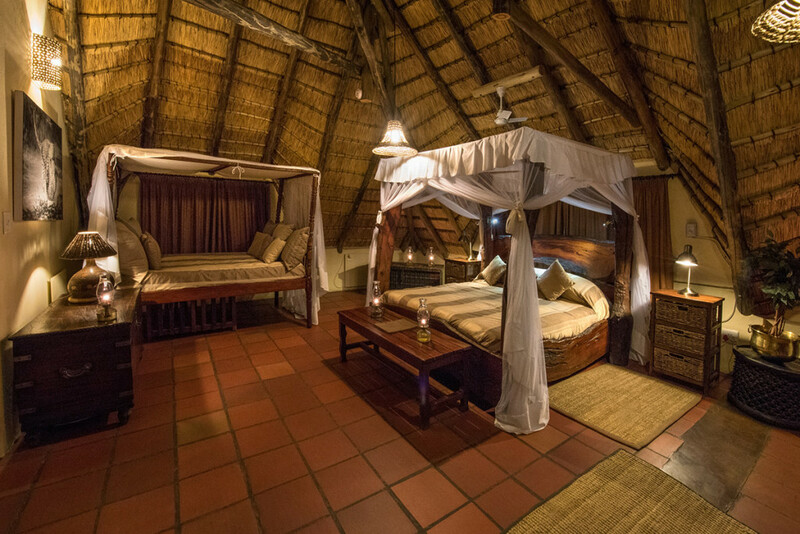 A deluxe family suite – Upstairs in the main house is a very spacious luxury suite, perfect for families. 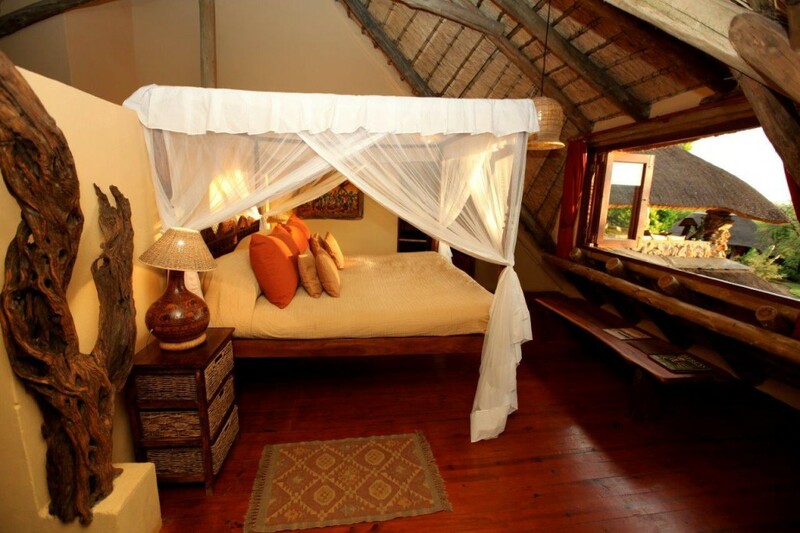 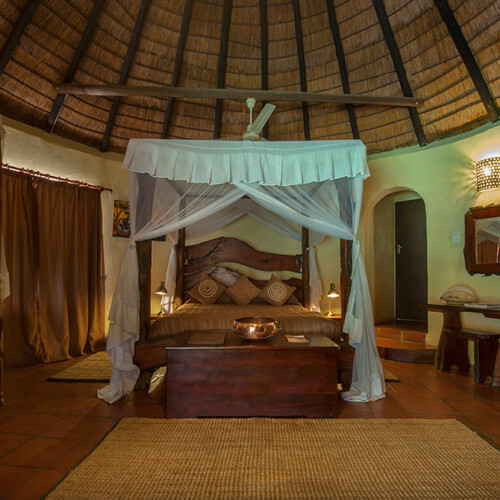 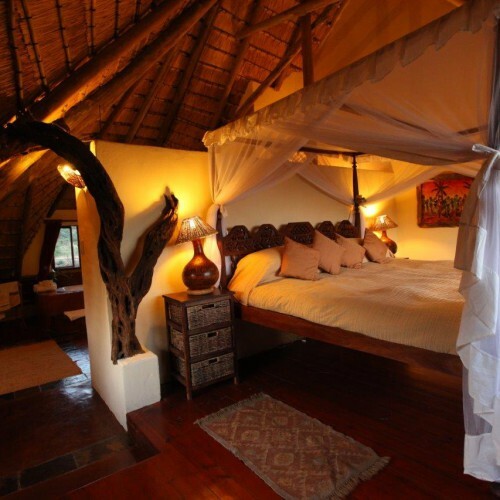 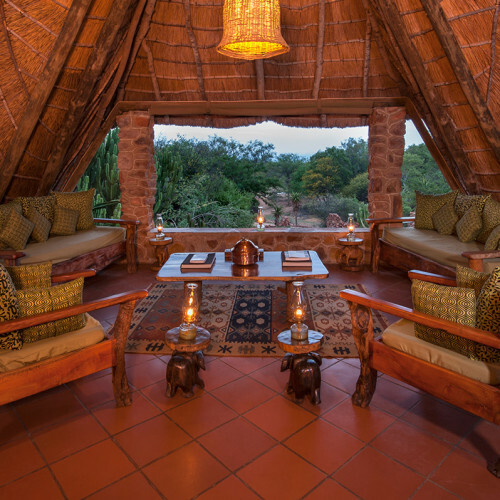 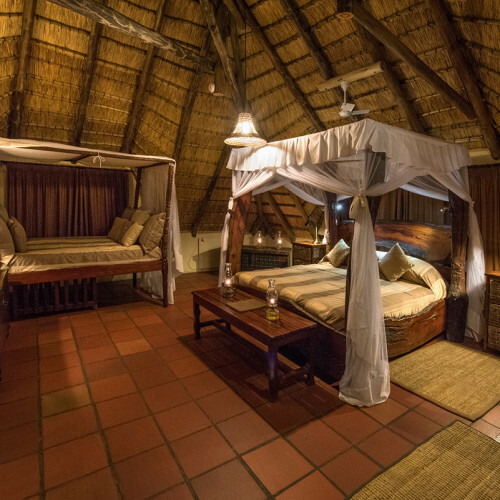 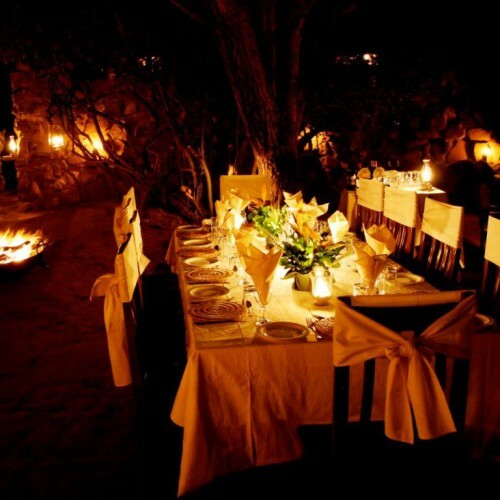 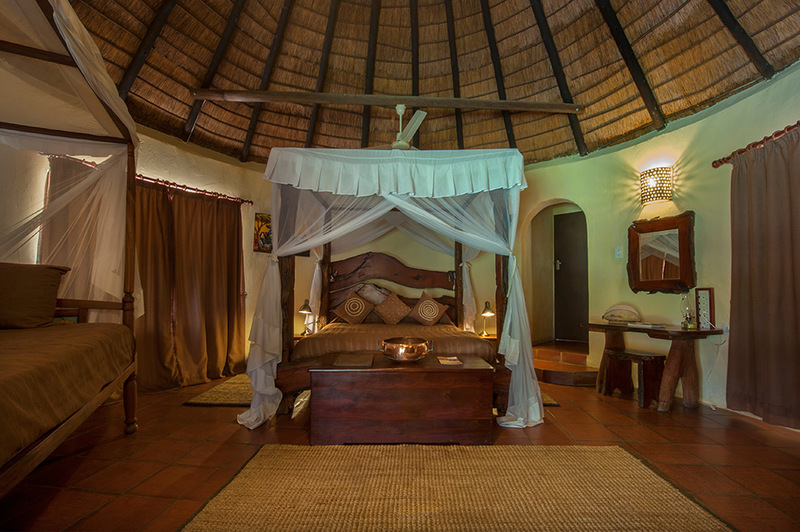 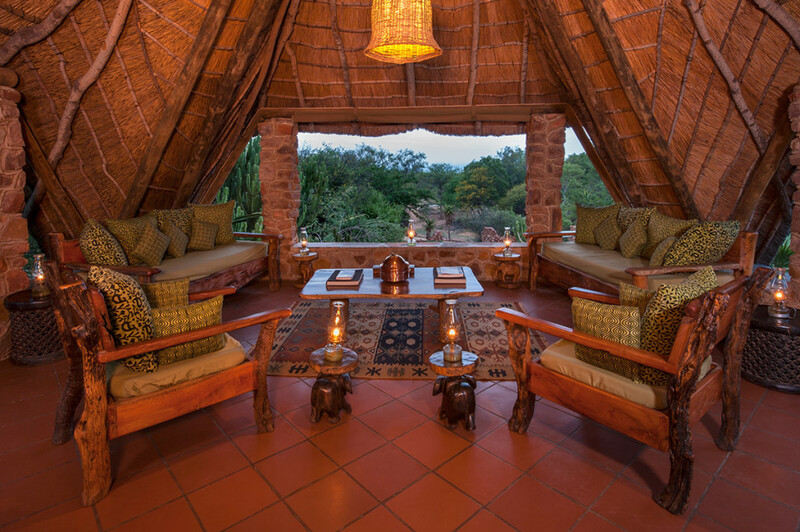 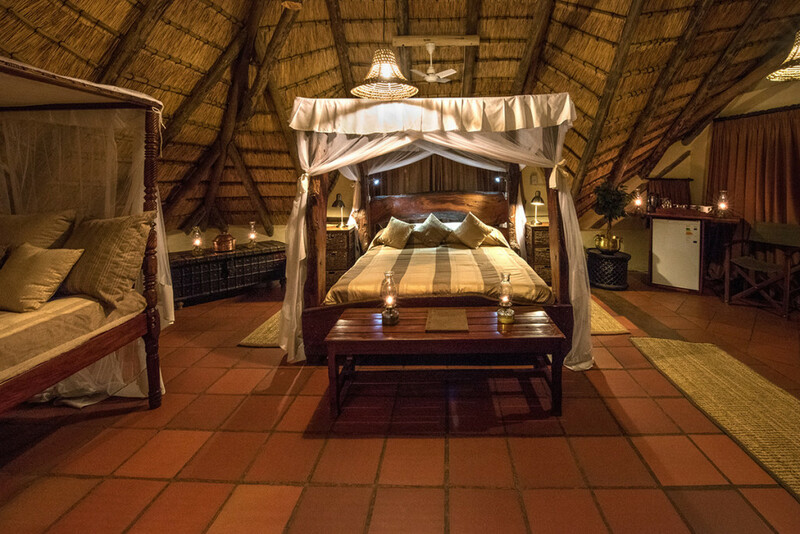 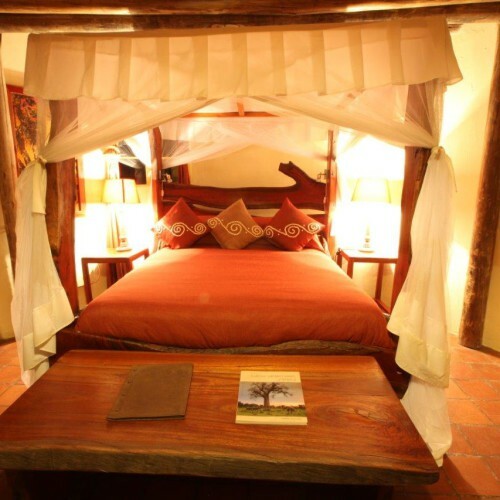 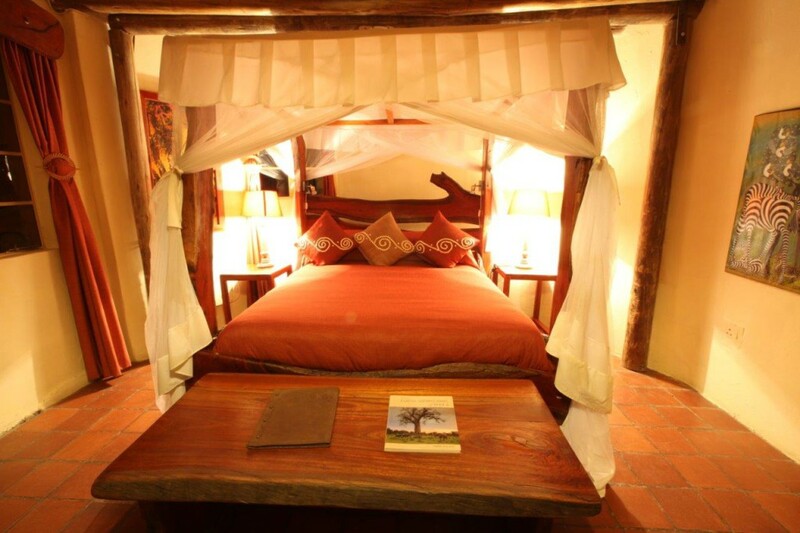 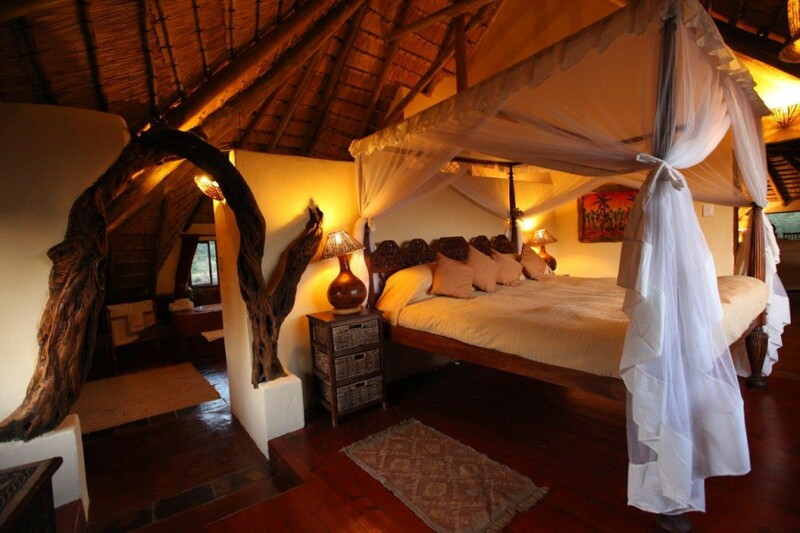 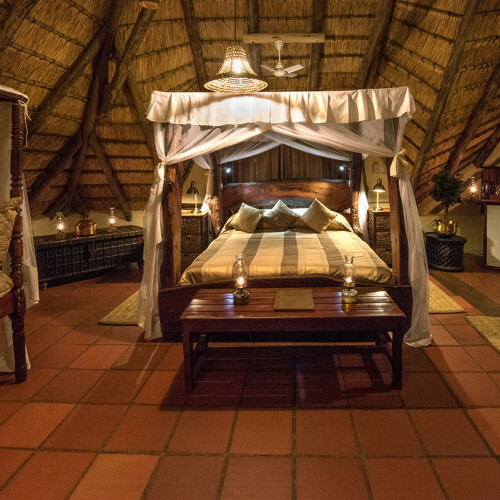 The master bedroom features a king-size four poster bed with incredible views overlooking the gardens and bush beyond. 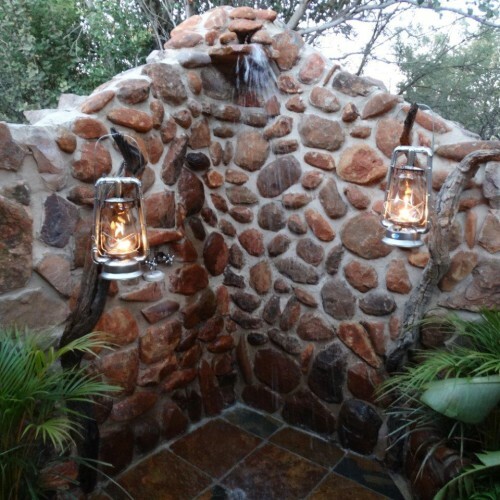 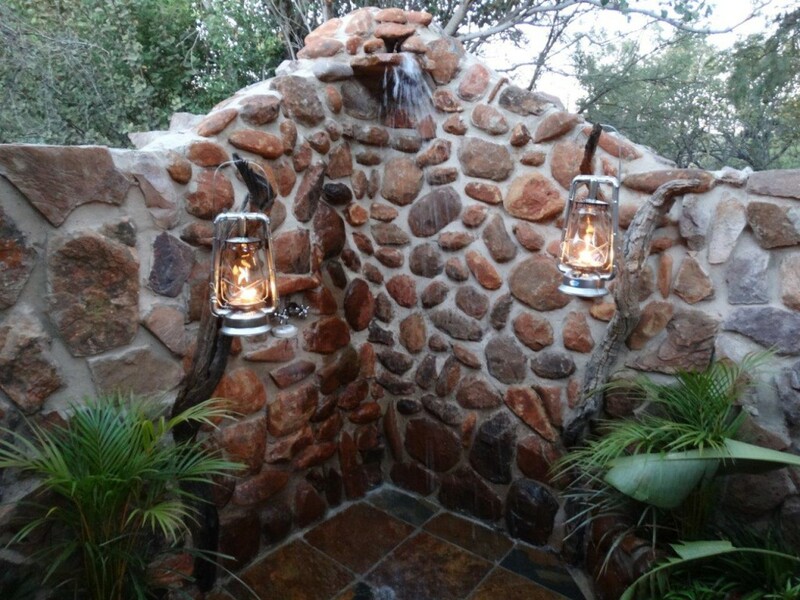 This leads through to an exceptionally large bathroom and dressing area with bath and shower. 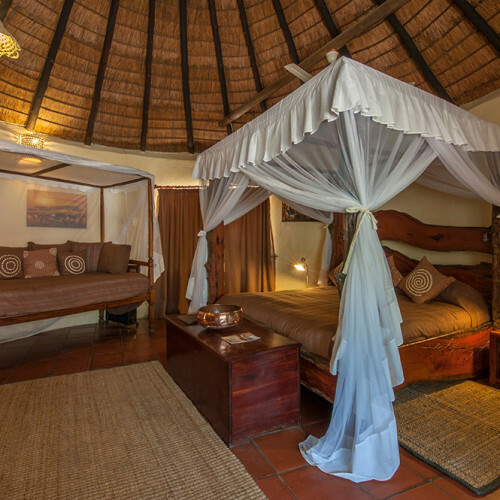 Located beside this is an en-suite twin (which can be converted to a double), ideal for two children travelling with their parents. 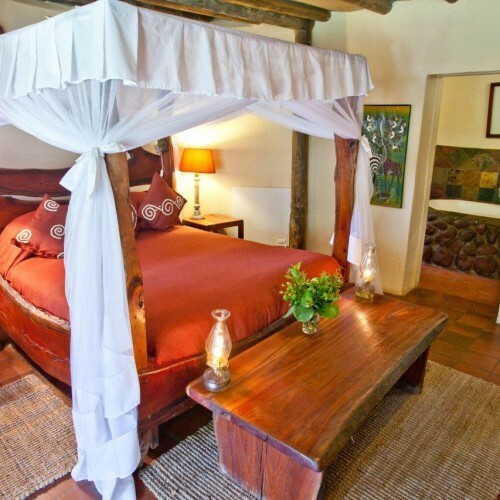 An additional ¾ four poster bed is located just outside this bedroom, for a third child. 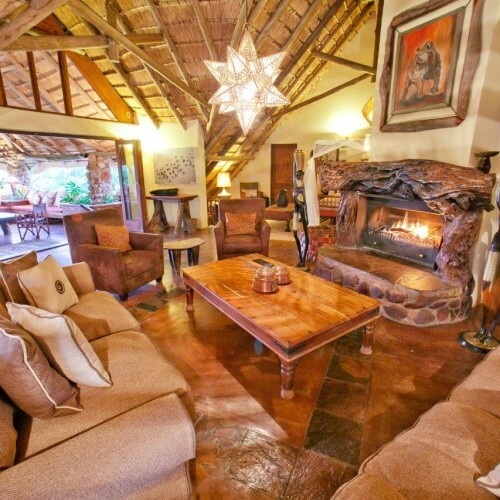 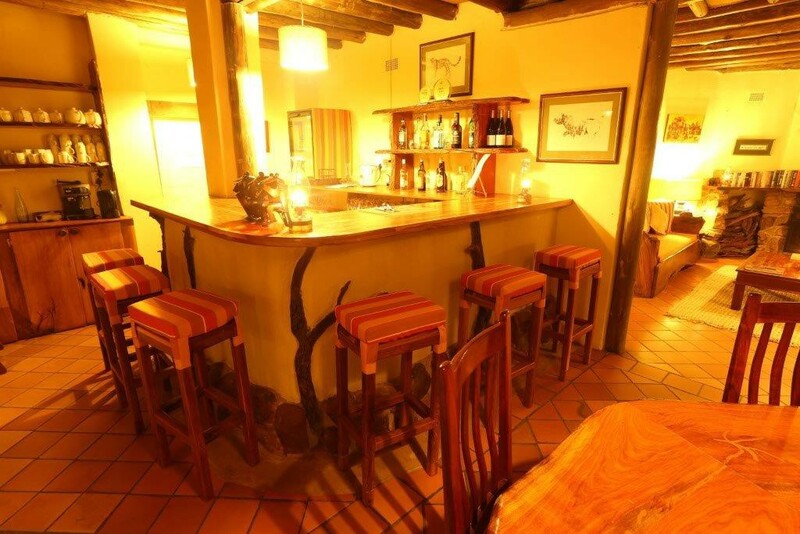 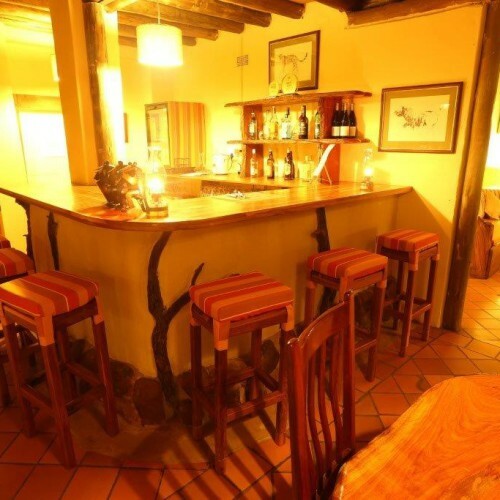 There is a spacious sitting room with comfortable sofas and a fireplace, alongside a dining area and full bar with tea and coffee making facilities. 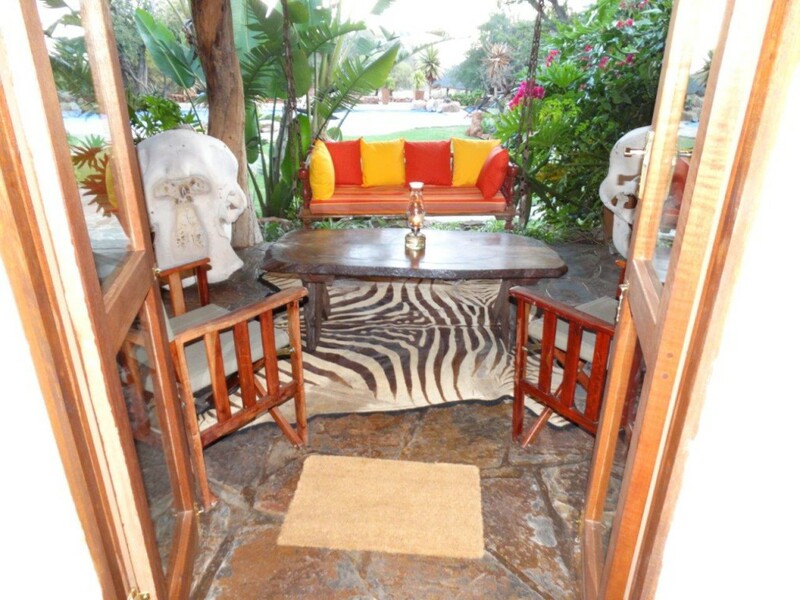 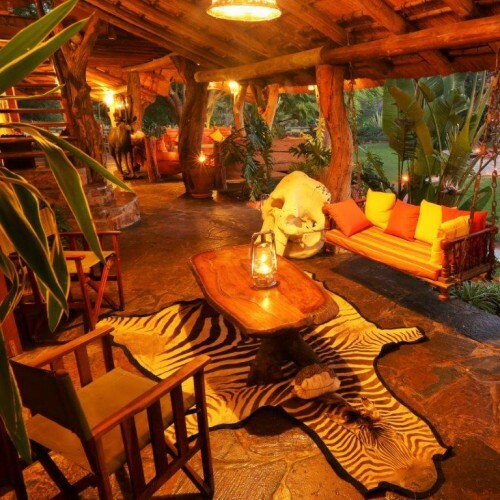 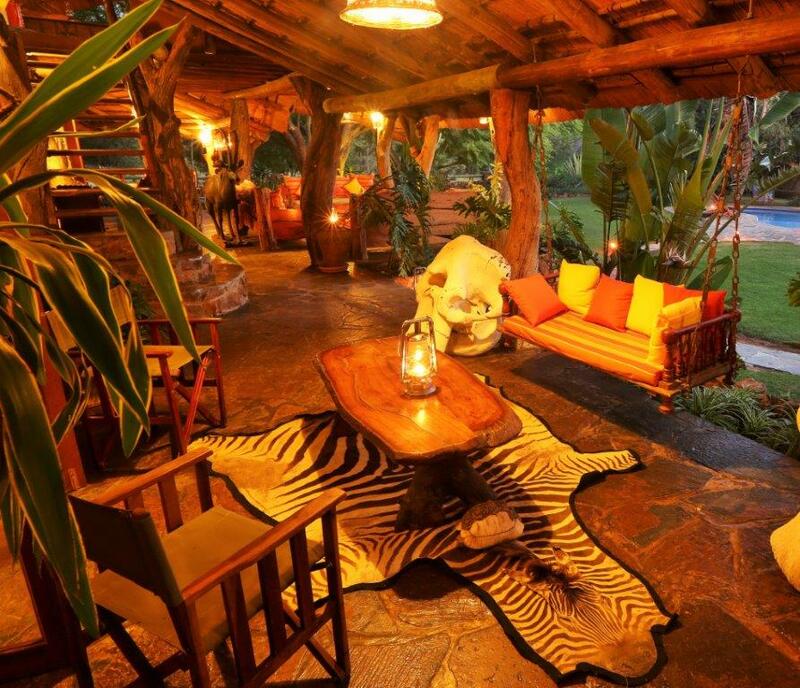 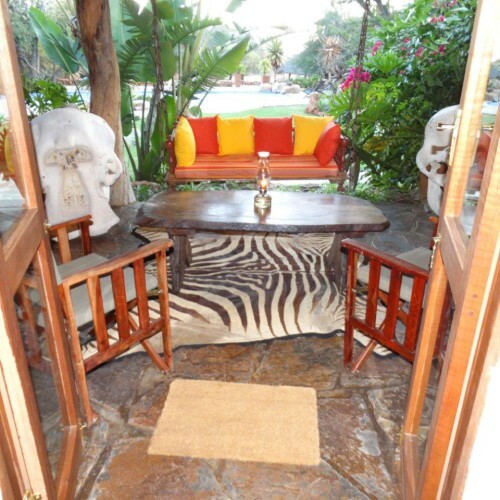 This opens up on to a very comfortable private verandah with shady seating area. 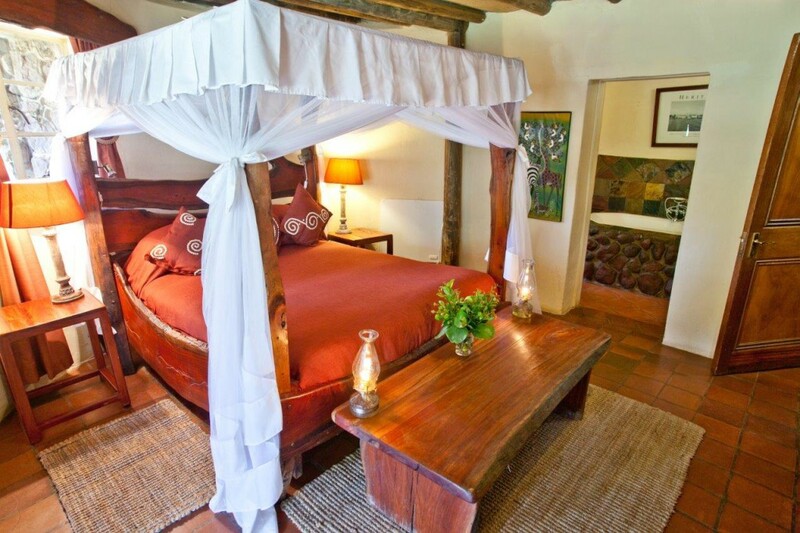 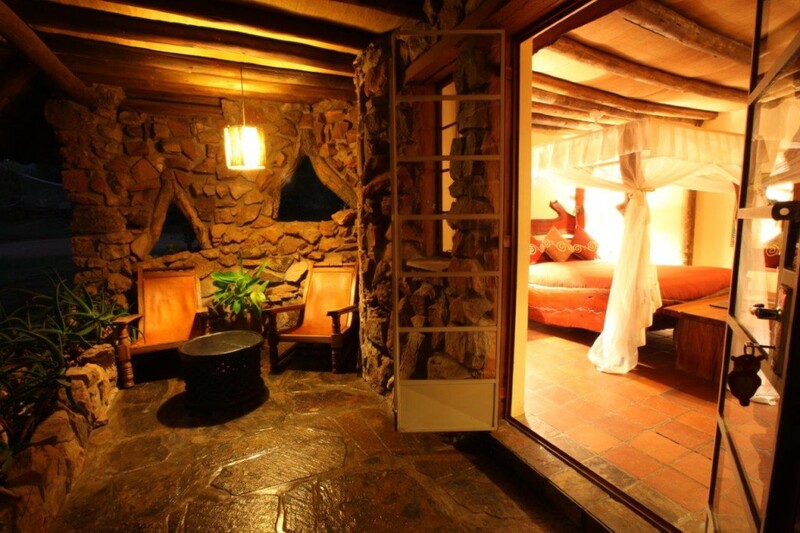 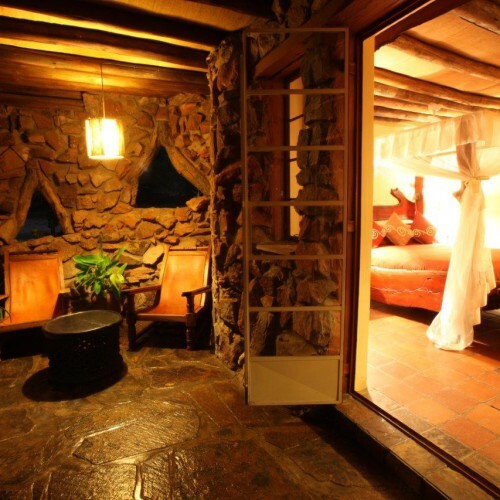 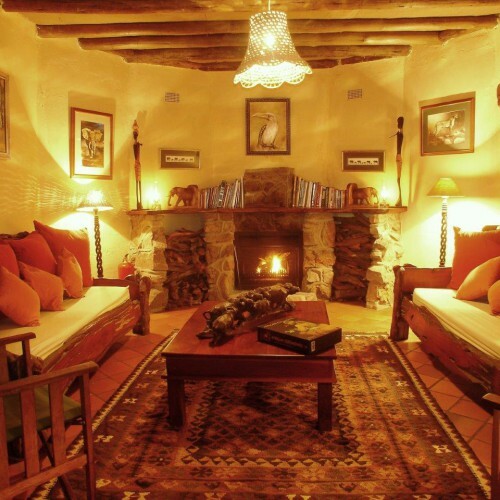 Standard Rooms – these are two comfortable bedrooms located downstairs in the original homestead. 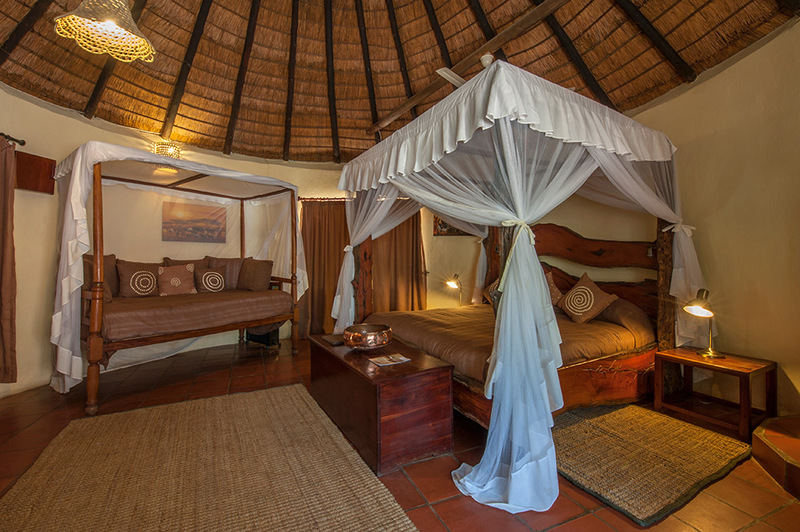 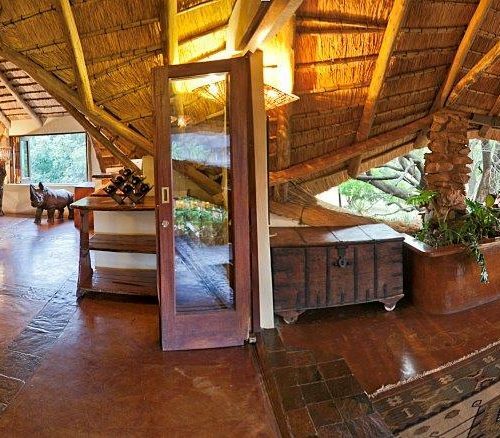 The double room has a four poster bed and en-suite bathroom, with doors opening up onto a private verandah area with outside seating. 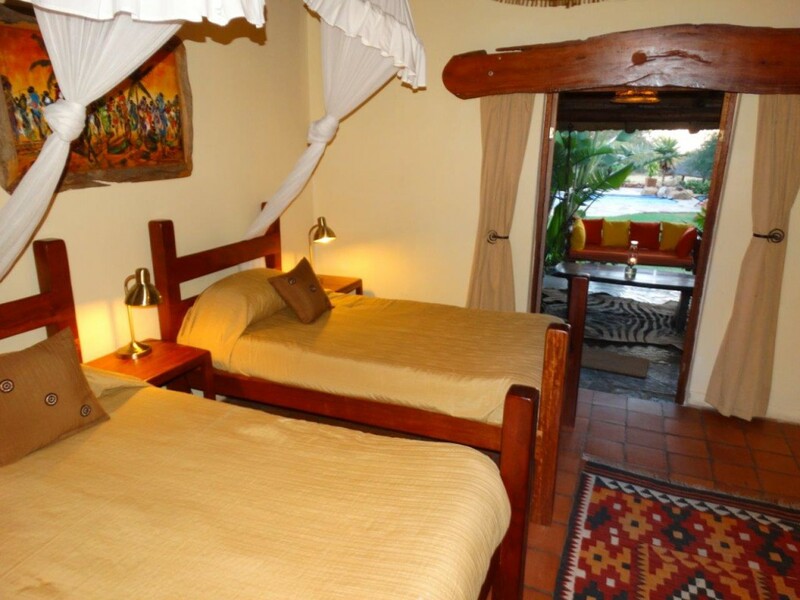 Located just next door is a twin room (which can be converted to a double), also with en-suite bathroom and doors opening out to the verandah. 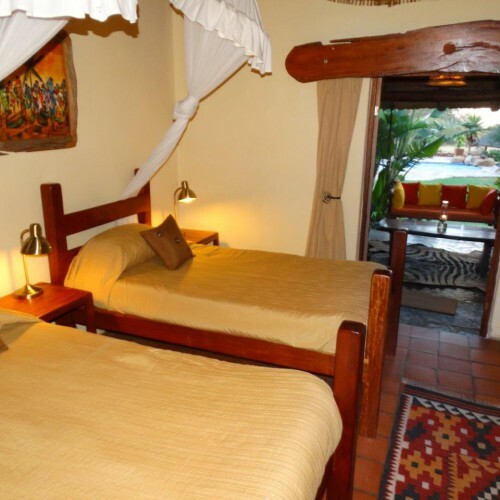 These rooms can be booked individually or booked by a family as the rooms are adjacent to one another for those on a budget. 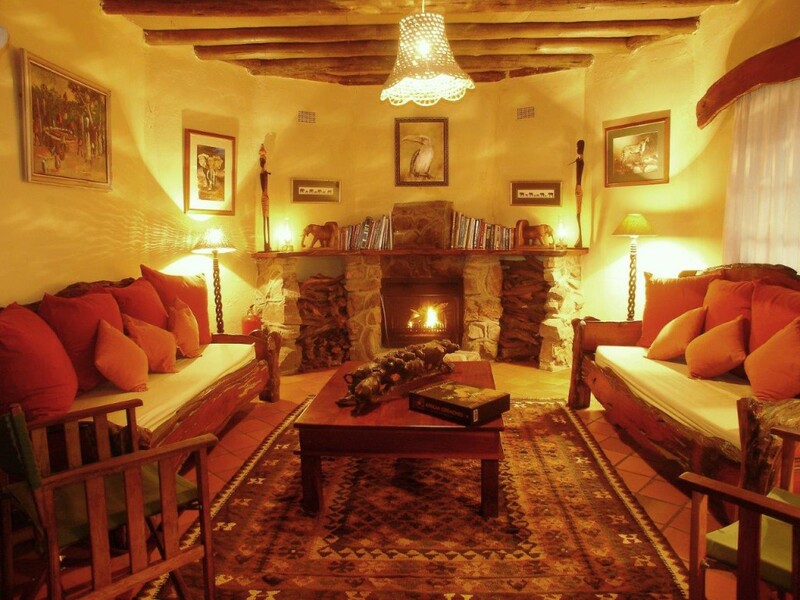 These rooms are connected by a passage to a cosy sitting room with an open fireplace, perfect for relaxing on those chilly evenings, and an indoor dining and bar area.